Our Kids Martial Arts Programs give your child the skills necessary to improve their focus, self-confidence, discipline and respect, all while having fun in the process! Your child will become more physically fit and will be excited to set new goals and enjoy achieving them. 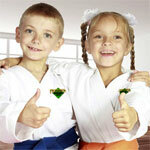 For good character development and better self-defense, have your child visit West Coast Martial Arts Academy. Do you want to get in better shape, improve your focus and reduce the effects of stress? If so, West Coast Martial Arts Academy is your solution. With over 20 years of experience teaching Martial Arts, our classes can help you feel more confident and improve your overall health. Come to West Coast Martial Arts Academy to develop your self-defense skills with those who’ve mastered them. West Coast Martial Arts Academy has a full program in Tiger Claw Kung Fu Known As Fu Jow Pai. Tiger Claw Kung Fu is a 1500 year old martial art that incorporates all elements of mind, body and spirit training. 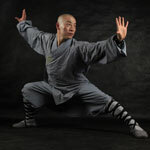 Within the Kung Fu program offered at WCMAA a student will learn self-defense, Chinese weapon training and healing arts. Lessons in Tiger Claw Kung Fu are giving privately or in small groups Classes. Established in 1993, by Giuseppe Aliotta, West Coast Martial Arts Academy of Encinitas and Rancho Bernardo has become San Diego California’s Premier Kempo Karate, Kung Fu, Mixed Martial Arts and Fitness Academy. The world class instruction given at West Coast Martial Arts Academy will ensure your progress, growth and success in the martial arts Guaranteed. West Coast Martial Arts Academy of Encinitas and Rancho Bernardo are San Diego’s bigget home for mixed style martial arts. We currently offer over 40 classes per week at both of our facilities ranging from mornings to evening classes, beginner to advanced. The art Hawaiian Kempo we teach is based off of Kajukenbo, also known as Karazenpo Go Shin Jitsu, as well as Tiger Claw Kung fu. It takes the best of Karate, Judo-Jiu Jitsu, Kenpo and Boxing. West Coast Martial Arts Academy has also easily adapted to modern day MMA (Mixed Martial Arts). We offer a full White to Black Belt ranking in Mixed Martial Arts. Our Classes incorporate Methods including Kung fu, Brazilian Jiu Jitsu, Mauy Thai Kickboxing, Western Boxing, Wrestling, Savate Kickboxing, Judo, Sambo and Shooto. Next, is San Diego’s #1 Rated Kung Fu Program. If you are looking For Authentic Kung fu then this program is for you. You’ll burn calories and enjoy the vast Amount of knowledge our Tiger Claw Kung fu Program offers. 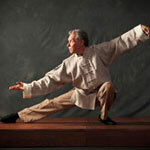 Private lesson training is offered in Shaolin Kung Fu, Tai Chi, Chi Kung, and weapons training. Lessons taught at West Coast Martial Arts Academy is much like Bruce Lee’s JEET KUNE DO Philosophy. We focus on technique and fitness, while striving to attain a high level of fun for all members. Our membership consists of men, women, and children who are martial arts enthusiasts, and fitness minded people alike. Whether your goal is to compete or train self defense, be a traditional Kung fu practitioner, become a black belt, a World Champion, or just to have fun and break away from the mundane treadmill and smith machine, we can help you achieve your goals. The experienced and professional instructors at West Coast Martial Arts Academy have been working with San Diego residents to learn effective self-defense and martial arts techniques for over a decade. If you live anywhere in San Diego county including North county Encinitas or Rancho Bernardo area community, stop by to learn more about our Mixed Martial Arts, Adults or Kids program, Kempo and Kung fu and strength and conditioning programs. We have already trained hundreds of student in the San Diego area, we are “Committed” to giving you the best martial arts experience with the best instructors in the best facility. Learn more by filling out our contact form and gain access into your scheduling your first lesson.